Video games are a funny thing, aren’t they? Most readers here will have at least a passing relationship with them, and some will list video games among their top hobbies. I’ve been thinking about this a lot, along with my own relationship with video games, and I got to wondering, What’s so great about video games anyway? They are a huge time investment, longer than movies and even some books, and even longer than a season of a television show, depending on the genre. They make you solve puzzles and problems for arbitrary reasons, and some games will make you do the same, or similar, actions over and over in order to progress. Why do it? Well, for those of you who have been around since the 12 Days of Blogmas, you’ll know that I tend toward just one answer to that question. But what happens when that love seems to fade? What happens when you have so much of a good thing, it feels bad? Well, you remember the reason you started in the first place, of course. Around game three of Year of the RPG, I started seriously wondering if I really loved games as much as I thought I did. That feeling came back during game five, to the point I stopped playing it. So I sat and reflected on the games I had loved, on the ones I stayed up all night playing. I reflected on the ones I wanted to play over and over again, and the ones that I had discovered due to a recommendation. And from that, I hit on four reasons that are of paramount importance when falling in love with a game. This is deceptively easy, since “purpose” is usually reserved for something profound. Having “purpose” is synonymous with having a clear intention or philosophy. In games, however, this doesn’t need to be high and lofty. The purpose, perhaps, is to experience a story, and so the gamer is committed to doing what the game asks in order to experience the story. Or perhaps the purpose is to figure out the puzzles, or master the mechanical challenges necessary to progress. We all have a purpose when we approach playing a game, and that purpose may change for each game, or even each play session, and it’s easy to fall in love when the game fulfills our current purpose for playing. Really being aware of what you want from your gaming time helps you focus and invest yourself in ways that matter and will ultimately create the most fulfilling experience. This is a big one. We’ve all been there: there is a shiny new game in our hands and we’ve been told it’s going to be the absolute best game ever and the possibilities of what we are about to experience are absolutely endless! And then we pop the game in and realize, perhaps with a little sigh of disappointment, that the game is not, in fact, the best thing since tummy rubs, and we settle ourselves in resignedly to a great game, but one that still somehow seems to be lacking something. 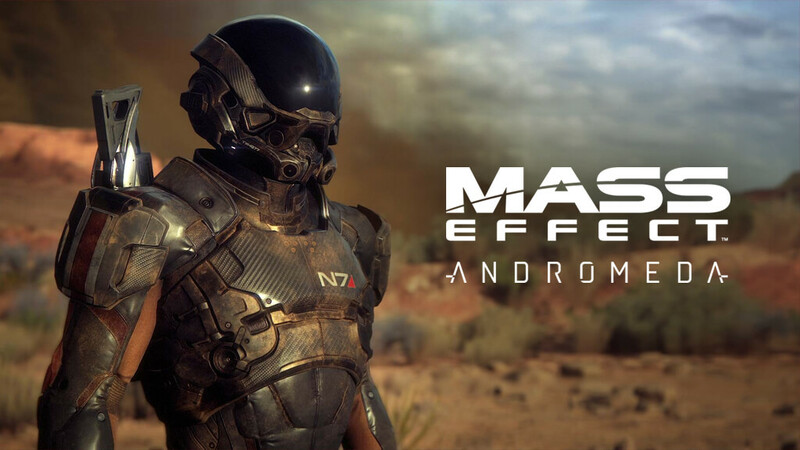 Hype can really kill an experience like nothing else can.When I played Mass Effect: Andromeda, I fell prey to this one. 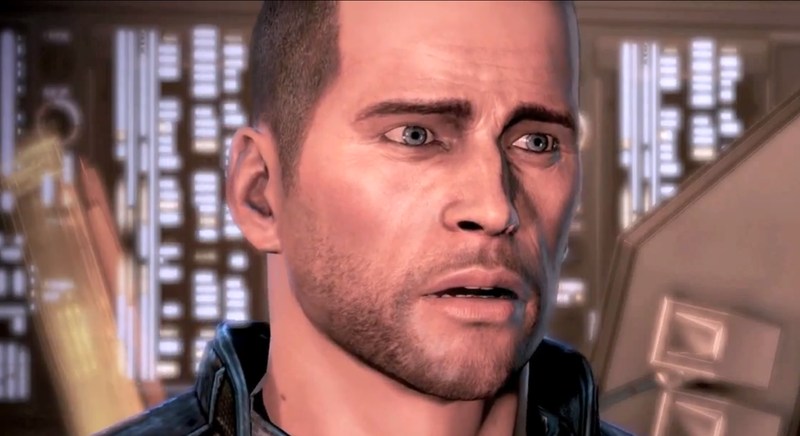 A new Mass Effect game was almost as exciting as a new Dragon Age game, in my book. But after so much hype and so much excitement, I was left a little sad after my first few hours of play. But when I took a bit of a break and returned, this time with more of an idea of playing a game for its own merits, and not what I wanted it to be, I liked it, and even explored why we should have at least one more game as a sequel to it. Approaching a game willing to see it for what it is, and not what you want it to be or what you think it should be, is the only way one can hope to enjoy the time they spend with a game. She was right, of course. The majority of The Witcher 3‘s story is, at its core, to save Ciri. But it seems such a far cry from the arcade Donkey Kong or the NES’s Super Mario Bros., doesn’t it? We all have a type, and while it can be fun to try totally new things, we tend toward what is familiar and preferred. I love trying new things, and will recommend Journey to anyone who will listen, and loved my time spent with the likes of RiME and Until Dawn, but my heart just goes pitter-pat for RPGs and adventures, more than any other genre. And that’s okay. Taking an old, familiar, friendly, well-liked idea and twisting it around into something fresh keeps things from feeling stale and boring, and can help you appreciate the games even more as they take something you like and give you something you didn’t know you’d wanted. Don’t be afraid to talk about a game if you like it. People are still learning that video games are valid forms of entertainment, even though sometimes there are those who just don’t understand. But that’s why it’s so important to be able to articulate what it is you like about a game. Know what works, and what doesn’t, and don’t be afraid to say it (respectfully, of course. We don’t want to cause hurt feelings because that just makes it worse). Being able to talk openly about your hobbies helps you solidify for yourself what you like, and remind you of the reasons you started in the first place. It can also help bring about positive change when necessary, when those wants are communicated effectively. There you have it. 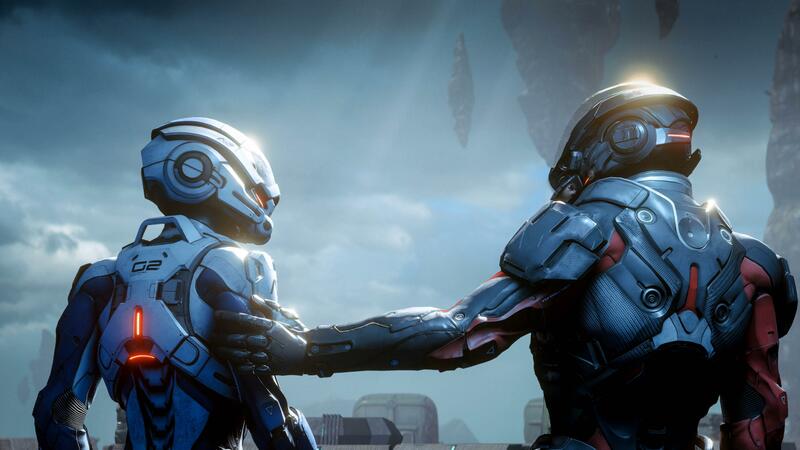 Four key steps in keeping your gaming relationships alive, well, and appreciated. 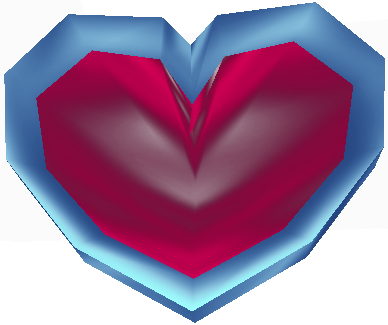 It’s good to be able to take a step back this Valentine’s Day and remember the good reasons it all began however long ago, with whatever game that sparked our interest. And hey, if you find other uses for these tips, come back and let me know. What about you? What keeps gaming fresh and exciting? What makes you fall in love with a game? Do you have a never-fails way of keeping yourself invested, even if it seems hard? Let me know in the comments! The idea of appreciating a game on its own merits is really important. All too often today we see situations such as people avoiding a game simply because [x] person said so, or because they didn’t like the last (unrelated) game the developer made, or because they don’t like the publisher, or because of something dumb one of the creative team said on Twitter. Of course, games don’t exist in a vacuum and many (most?) draw influences from each other, but there’s really no need to hyper-analyse something that is there purely for enjoyment’s sake. (Unless you’re someone like me, who is making a point of writing about games that don’t get much attention elsewhere, hopefully leading to more people being interested to check them out!) I often see people on social media unable to simply say “I really like this game” and leave it at that; people seem to feel an obligation to “find the flaws” in something, lest they be accused of bias or — shock — subjectivity. Sometimes something enjoyable, intriguing or compelling is just that. And it doesn’t matter what anyone else says; if you’re having a good time with it, it has value. At any rate, I agree. If the player is having fun, then the player should stick to his or her guns and keep on enjoying the game! I’m sorry for the delay; I got hit with some IRL things and I’ve been offline for a bit. But as always I appreciate you stopping by and commenting!! Ellen + Video Games forever!! 💗 I do have my moments of meh, though. I think it all comes down to my mood. Sometimes I just don’t feel like playing games and that’s okay. I usually bounce back later. I think we all need a break from everything once in a while, fun hobby or not. The pressure I put on myself to blog about games doesn’t exactly help me avoid burnout, either. What keeps gaming fresh for me is meeting cool characters in games, haha. Also, could not agree more with your point about hype killing a game’s experience for me. During a popular launch there are so many buzzing opinions on social media… I find that can ruin my own opinion. These days I prefer to play games after their hype train has left the country. In fact, I’m probably going to take a social media hiatus when Dragon Age 4 comes out… I can already hear the fan base whining about something I don’t care about, haha. I feel this comment in my soul. What do you do when you don’t feel like playing videogames? I tend to go to my local watering hole and just spend several hours there and attempting my best to go to the gym and do some exercises at the local park. Hello there, soul comment bro, haha. So yeah, just doing something new once in a while works wonders. I know of a clay pottery painting place close to me but I have never bothered although I do have those moments of absolute curiosity on what is happening inside and what’s going on. I might see if I might like it, you might never know, trying new things works wonders for the soul. This morning I woke up at like 6 and went for a morning run, went to the gym and worked out for like an hour. You would think about how much I hate exercising, I actually like it because it clears my mind. Much like Ellen, I do have my moments of absolute mediocrity and it all comes down to the mood. Sometimes, I don’t have the feeling to play video games so instead *gasps* I go outside for a little bit, go drink at my local watering hole, and just go do some things. Still trying to play the game tho with no success so I have to say DJ + Videogames forever.